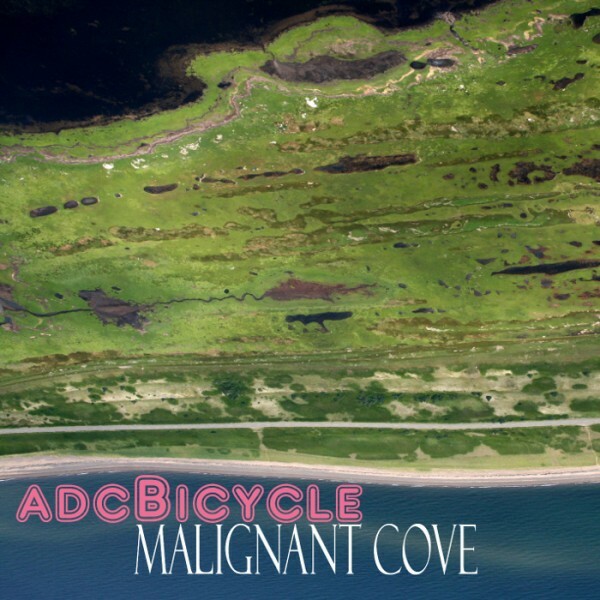 Malignant Cove is adcBicycle's 3rd album. All tracks are about a rocky ocean cove in Nova Scotia, Canada. The album was constructed to be catchy, dark, background music. The music engages the listener with gritty analog sounds, loosely played instruments and driving beats, yet at the same time sits peacefully in the background with distant vocals, slow building drama and a consistent dark pop mood.